Panavision has had quite the Cinegear this year. 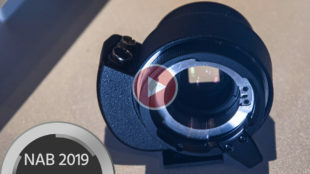 The company made waves with several new lens lines including an anamorphic line and a set of primes useful for drone pilots, but the real showstopper might be the RED Cinema/Panavision Frankenstein that is the DXL M camera. Details and a first look video here. 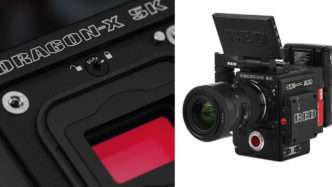 The Panavision DXL M – a RED DSMC2 with Panavision Color Science This camera may look familiar because it is built with the bones of the RED Cinema DSMC2 camera system. In short, RED provides the sensor (Helium, Monstro or Gemini) and Panavision provides the color science (LiColor2) and accessories to make one glorious rental only camera package – yes, Panavision cameras are still rental only. The 8lbs form factor is also on the smaller side compared with the Panavision DXL. A 600nit HDR Primo viewfinder serves as the EVF for the camera and the DXL app allows for easy camera setting control. 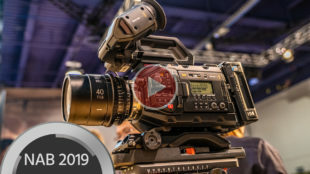 For more information on the flagship Panavision Millennium DXL2 8K Camera with the RED Monstro 8K VV Sensor check out our post HERE. Additional information on the camera is still lacking, but we’ll update this post when more information becomes available. 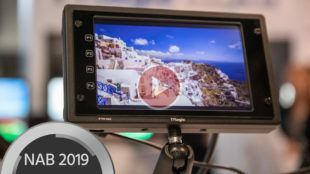 The Panavision DXL M camera is available in Q4 of 2018 as a rental only (available worldwide) from Panavision. 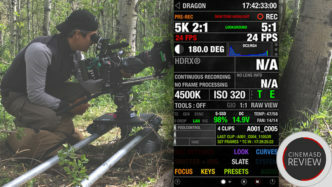 What do you think about Panavision’s move to move fully on to modifying RED cameras? Let us know in the comments below. The foolcontrol app for iOS, promises control over nearly every menu setting in your RED camera. But does it really work? I took the app and a RED Epic Weapon into the wilderness of Utah to find out. Image: Graham Sheldon I cannot overstate the joys of the first time you pull focus wirelessly on a RED Weapon with Canon L glass from your iPhone. It doesn’t feel like it should work, but foolcontrol – a clever iOS app from engineer Mikael Lubtchansky – makes that and many other features possible. More on focus pulling later. Credit: Fool Control iOS I’ve been aware of foolcontrol for a while, but never had an opportunity to really put it through its paces. That all changed when I was given the chance to test drive it with the RED Weapon in the wilderness of Utah. It was time to see if Foolcontrol could indeed make my life easier as an operator. Setting up foolcontrol with your RED is simple – especially if you are equipped with the newer DSMC 2 cameras. You’ll first need to go into your camera settings to create an ad hoc network. Once your network is live, the next step is to treat your camera simply as another WiFi router and connect through your phone. You can then launch the app and the camera will pop up in the first menu. Select the camera and you’ll be greeted with a main interface that reveals a whole host of control options. The foolcontrol app comes across as a detail-oriented labor of love from a single talented individual rather than the slapdash sloppiness that can be usual from a third-party solution. The app interface itself is streamlined, and I even found it easier to navigate than RED’s own on-camera interface. My primary interest in foolcontrol has always simply been the ability to navigate camera settings quickly. I found myself most often changing shooting resolution, compression, frame-rate (jumping into high speed), ISO and Kelvin settings directly via my iPhone 7+. Occasionally, I would also trigger playback on a previous clip, and once or twice I changed different “Look” settings on the camera. All of these changes were easy to execute and made auditioning settings with the rest of the team a quick affair. The camera was always very responsive to commands from the app, and I didn’t experience any problematic latency when it came to changing camera settings. Image Credit: Joel Schwartzberg Pulling focus with the app, while admittedly fun, seems more suited for work with a camera with a wide-angle lens at the end of a jib rather than for the more dynamic gimbal, steadicam or handheld scenes. The app supports focus pulling with certain types of electronic Sigma, Nikon and Canon optics – of which I had a few in my kit. All of my Canon L glass communicated fine with the app, though with an occasional hiccup. 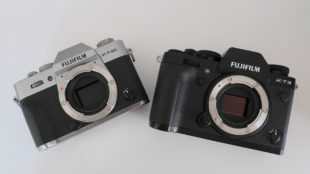 Note that the Canon 17-120 T2.9 pictured above does not allow for focus pulling within Foolcontrol. With these signal hiccups in mind, and even with accessories like the Radial Stylus we wrote about in May, it’s worth mentioning that the Foolcontrol app will certainly not replace professional wireless follow-focus devices from companies like Preston and Bartech. The biggest hurdle for me regarding this system had little to do with the app itself and came down simply to battery life on my iPhone 7+. Nothing can really change the fact that I was using a cell phone in the wilderness, forcing it to stay out of sleep mode as long as possible at full brightness, meaning I often found myself burning through the battery life on my iPhone while still having hours of shooting left in the day. This isn’t the app’s fault of course, but it does highlight that we are trying to force professional features into boxes (in this case a phone) that don’t always translate perfectly to a 12-hour working day separated from easily-accessible power sources. Credit: Graham Sheldon With the recent announcement of a RED Hydrogen cell phone that promises the ability to control and monitor your RED camera, it will be interesting to see how the foolcontrol app will evolve, or if it will find a home as a cheaper alternative to purchasing a Hydrogen. 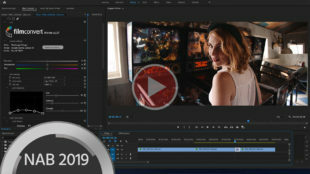 foolcontrol app – Technical Highlights Control over camera settings such as white balance, ISO, recording, format, frame rate, timecode, shutter, histogram, traffic lights, color space, recording mode. Trigger playback Wirelessly pull focus with various Nikon, Canon and Sigma glass. Built-in slate functionality With a price tag of $169.99, it’s not the cheapest app on the App Store, but the price feels right to me for the functionality you get. There were also one or two firmware updates during the few weeks I was working with the app, so it does seem to be consistently improving beyond the build I spent time with. In short, foolcontrol is perfect for ACs or small teams working within the RED ecosystem who want to speed up their menu changes. 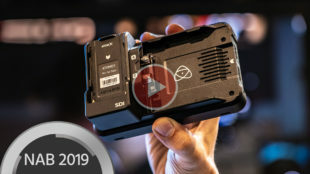 It’s faster – no doubt about it – and the sheer “cool” factor of changing menu settings from video village 100 yards from the camera shouldn’t be discounted either. Price: $169.99 Availability: Download HERE from the App Store. Have you tried the foolcontrol app? Share your experiences in the comments section below! 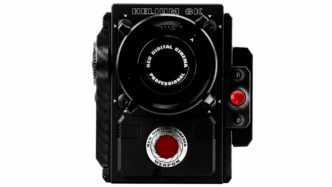 The RED Cinema Hydrogen just announced today is a surprising move away from RED’s bread and butter camera brand. This RED Android OS smartphone promises 3D, VR, AR and holographic display capabilities, and being able to seamlessly switch between all the different modes. Credit: RED Cinema With a cryptic post on reduser.com in late June, CEO of RED Cinema Jarred Land certainly got the rumor mill churning. The post didn’t reveal much information. Here’s the full text: “July 6th. 9am PDT (Pacific Daylight Time). Right here. You need to be online. You need to tell everyone you know to be online. Have your credit card ready. This is a new product category. It does not impact your RED camera. Jim.” Speculation ranged from new product categories such as a RED-branded cell phone (Ding, ding ding!) to a drone with a built-in RED camera. Many, many people – too many people, in fact – logged into the reduser.com forums around 9AM PST today to find out, and promptly overloaded RED’s servers. 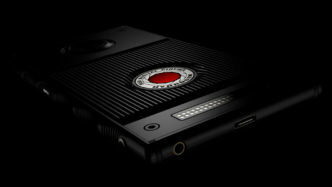 First we were greeted with this message: And then this: After a few dozen presses of the refresh button, and despite the warnings, we finally got a glimpse of the new RED Cinema Hydrogen smartphone. The phone seems aimed both at gamers and, as you might expect, owners and operators already working in the RED camera ecosystem. Features such as controlling RED cameras (Epic, Scarlet and Weapon) directly from the phone and using the phone as a high resolution monitor seem especially useful, but seamless support for 3D, Virtual Reality, Augmented Reality and Holographic content really seem to be the device’s unique selling points. 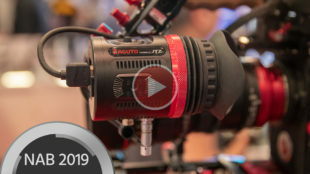 Like other RED camera systems, the Hydrogen has been built with a modular design that will allow for future upgrades such as the ability to shoot even higher quality motion and stills. Interestingly, the option to shoot holographic images using the phone will not be included when the Hydrogen ships (Q1 2018), but will be added in a promised future module attachment. RED promises that there will be other optional accessories available at launch. The Hydrogen comes with a proprietary H30 algorithm that will convert stereo into multi-dimensional audio. 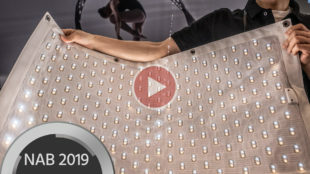 Obviously we haven’t had a chance to listen to this multi-dimensional audio yet, but this could be a major selling point if it works as advertised. RED is also creating a channel specifically for holographic content dubbed simply “RED Channel”. With this platform you’ll be able to view documentaries, movies, games and more in .h4v format. Where this wealth of .h4v holographic content comes from remains to be seen. The barrier to entry for consumers trying to view 3D content has always been the need for clunky glasses to view. Thankfully, the Hydrogen requires no glasses to view 3D or holographic content, but I suspect that may lead to restrictions with the viewing angle for 3D. Many questions remain such as screen resolution and type of camera embedded at shipping time and we’ll update as new information arrives. RED Cinema Hydrogen – Tech Highlights: 5.7″ Professional Hydrogen Holographic Display Android Operating System Support for holographic RED Hydrogen 4-View content (H4V) Viewing Modes: AR, MR, VR, Holographic, 2D, 3D in Landscape or Portrait Integrated support for RED Cameras – Monitor and Control Selfie and Back Camera 5.1 Style Audio Through Headphone Jack Internal Storage With Expandable Micro SD Slot USB-C Cable/Charger We know there is a healthy group out there willing to drop $1595.00 on a comparatively cheap (to other RED Cinema products) RED branded smartphone, but is there a mass market for a phone like this? The smartphone market itself is also extremely competitive and dominated by international brands such as Samsung and Apple. Other large brands such as Microsoft and Amazon have found breaking into the phone segment a difficult task. Either way, RED as a company has proven their tech disruption chops before and it will be interesting to watch the lifecycle of the Hydrogen. Stay tuned for the latest information as it becomes available. For now, make sure to check out RED’s official announcement HERE. *UPDATE: RED Cinema CEO Jim Jannard posted an update on the reduser.com forums responding to initial comments on the Hydrogen. Check it out HERE. Shipping: Q1 2018 – Pre-Order from RED HERE. Cost: $1195 (Aluminum), $1595.00 (Titanium) – Tax, shipping and handling not included. What do you think of the Hydrogen? Is breaking into the crowded smartphone market a smart play for RED Cinema? Who is the perfect end user for this phone? Comment below! 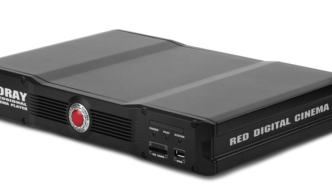 Red has announced shipment of their REDRAY Player. The device supports native 4K video or upscaled HD, allowing full 4096×2160 playback. The REDRAY sits between your UHDTV and content. 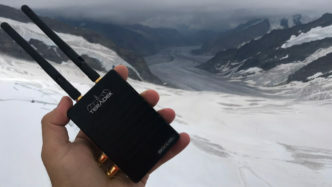 You connect via USB, network or SD, then output via HDMI (1X 1.4 HDMI, or 3X 1.3 HDMI) to your 4K ready device. It supports 48-60FPS in 3D and will be controllable by REDRAY iOS app.